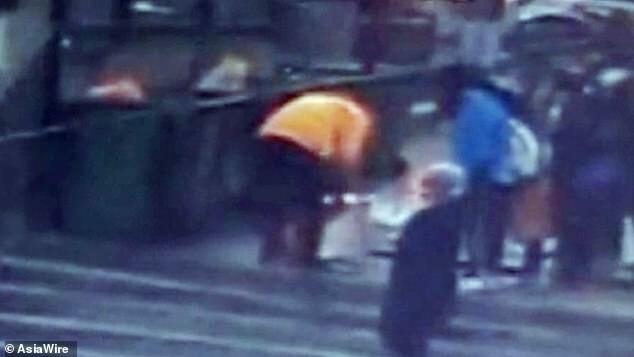 A pair of newborn twins have been found in a dumpster after being abandoned by a man in central China. 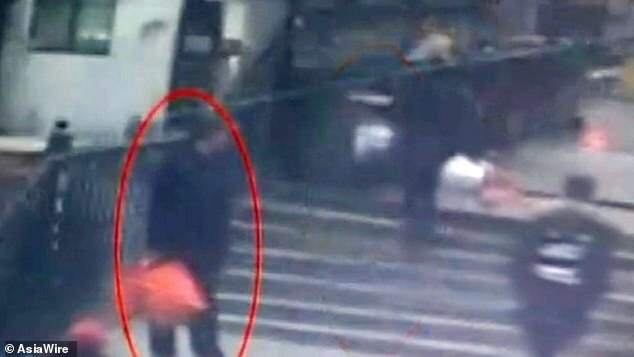 Chilling footage shows the man carrying the babies in two tied-up shopping bags and lingering near a litter bin in Xi'an, Shaanxi province on Friday afternoon. 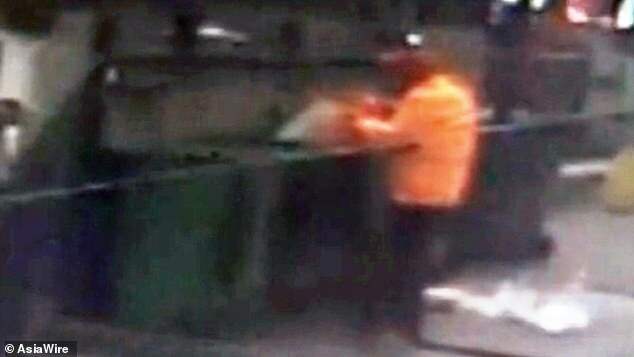 Several minutes later, he was seen throwing the bags into the bin before calmly walking away. The twins were immediately transported to hospital after a cleaner made the shocking discovery and alerted emergency services. The baby girl was pronounced dead in Xi'an North Hospital while the boy remained in critical condition, according to Chinese media. The twins were born 28 days ago prematurely, with the boy weighing just under 2lb (900g), according to Shaanxi News. Police are investigating and tracking down the twins' parents, The Paper reported. 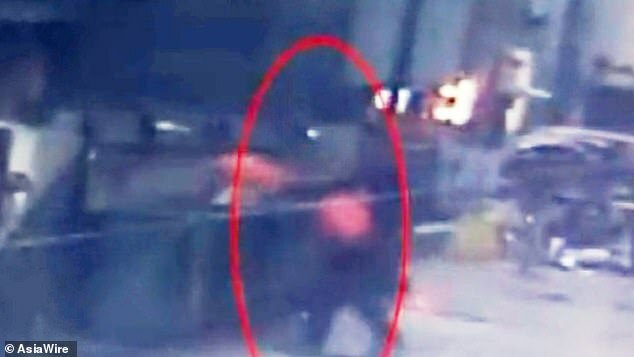 It is unclear if the man in the footage was the father. The cleaner later told reporters that he thought it was old clothing the man had thrown away. Dr Song Shaofeng at Xi'an North Hospital told reporters that the boy remained in critical condition after treatment. The Xi'an Children's Welfare Institute has taken in the boy and would be responsible for his medical expense. The man's actions were widely condemned on Chinese social media. 'This is absolutely heart-breaking. Whoever responsible for the babies must be jailed!' one user commented on Weibo. 'So many families in China are hoping for a baby. If the man didn't want any children, he could have given them up for adoption,' another said.